​Steve Johnson became pastor of Waynedale Baptist Church in September, 2017. He and his wife, Andrea, were married in June, 1998 and have been blessed with three children: Grace, Sarah, and Luke. A North Central Indiana native, Steve graduated from Marion High School in 1988. Steve completed a degree in Electrical Engineering and worked in the industrial automation field for more than 20 years. At the age of 25 Steve accepted Jesus as his personal Lord and Savior and became His disciple. 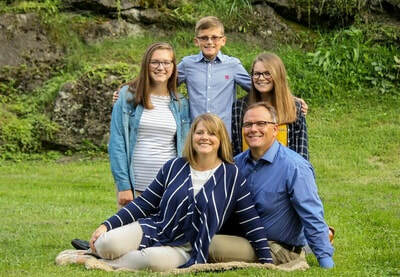 After years of discipleship and lay leadership, Steve accepted the Lord’s call to preach the Gospel and was ordained at Sunnycrest Baptist Church in Marion, Indiana where he served as the Associate Pastor for six years. After pastorates in Marion and Greentown, the Johnson family is excited to call Waynedale their home! 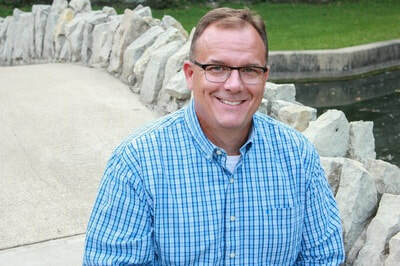 Pastor Steve is a graduate of Clear Creek Baptist Bible College and has a shepherd's heart, a passion for preaching and teaching God's Word, and a desire to see the people of Fort Wayne and beyond come to a saving knowledge of Jesus Christ.